#1. Competence = Confidence: Practice, learning, and studying all yield confidence. Do your art more, practice your craft more, and put yourself out there more. When we get better at things we feel more confident, and in turn when we are more confident we try new things and learn, gaining even more competence again. Leveraging this “competence-confidence loop” can be used to overcome insecurity in any area of life. #2. Feedback = Power: You’re always going to feel insecure unless you get feedback from your peers. The more you put stuff out there, the more positive feedback you’ll receive. Feedback offers power, because it takes you out of your own limited perspective. While feedback isn’t always delivered in a pretty package, and of course you’ll get the bad with the good, it doesn’t have to be threatening. Don’t feel diminished by negative feedback. 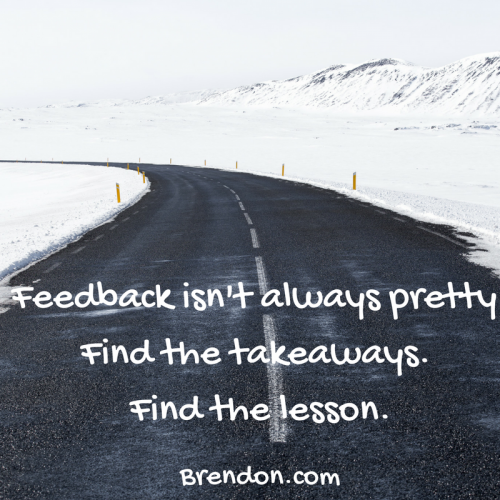 Instead, find the takeaways embedded in any feedback you receive to become stronger. #3. Rejection Doesn’t Happen: The reality is that you’ve interacted with thousands of people who have not rejected you. You cannot guide your life based on the concern that everyone is going to reject you because it’s likely only 5-10 ever have. Don’t let your internal fears be projected upon reality – very few will reject you so go for it. #4 Your Soul Won’t Settle: Your soul will continue to be restless until you take action on your dream. Instead of feeling bad for yourself, try listening in and and find strength in the mere fact that your soul is telling you what to do. Don’t feel insecure, feel empowered by those internal desires to go for it. Watch the video above for the full lesson so that you can achieve your goals and continue living #TheChargedLife! This is a special episode on insecurity. I’m going to give you four big ideas on what you can do to overcome that. We are all freaking out and concerned about putting ourselves out there. S,o how exactly do you do it? I struggle with the same thing. You could see just on YouTube alone we’ve got over 50 million plus views, and over a 100 million video views of mine have been shared now. Believe it or not, I hated talking to the camera when I was beginning. I was uncomfortable with it. I was weird and I was awkward at it. But I got better at it, and with practice, I got over some of my fears. So, if you’re insecure, let me give you four ideas that might help you in your life, in your art, in your craft, in your career. #1 Competence equals confidence. This means that if you’re ever going to have confidence, you need to master something. You have to run the miles. Practice, learning, and studying all yield confidence. 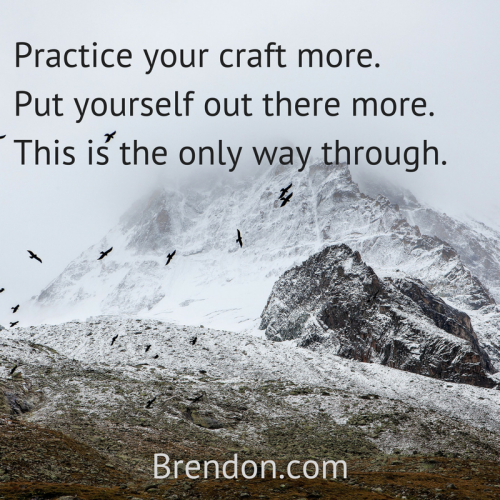 Do your art more, practice your craft more, and put yourself out there more: it’s the only way through. Sometimes when someone says that they want to start doing videos, blogging, writing a book or doing seminars, they often admit that they don’t have the confidence to do any of that. You can believe in yourself because you are worthy, you are deserving and you are ready, and if you’ve never felt that way and you need permission to do it, then there’s your permission. At the end of the day, you just have to begin. No matter how small you start, start something that matters. You just have to start. When I first started doing video, I was pretty insecure about it. The confidence only came after I had done it so many times. 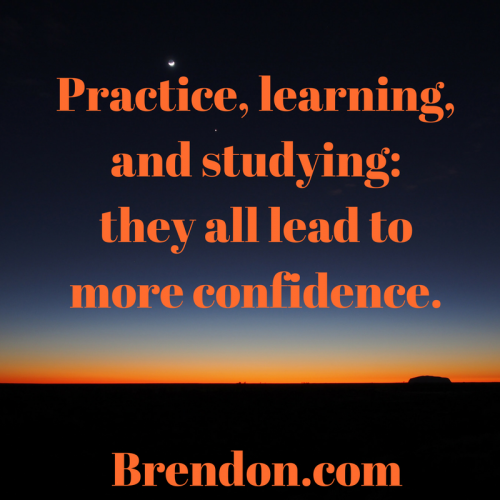 Practice, learning, studying: they all lead to more confidence. In psychology, we talk about this Confidence Competence Loop. The more confident you get, the more you’re willing to try and push your edges. This then develops more competence, knowledge, skill and ability which develops more confidence. And this beautiful loop starts happening for you. So, if you are in a place where you’re lacking confidence or you’re just feeling insecure about yourself, do your art more. Practice your craft more. Put yourself out there more. This is the only way through. You don’t have to tie your identity to anybody’s approval. However, you will realize that the more you put stuff out there, the more positive feedback you’ll receive. Lots of people will make fun of you and they will say terrible things. That’s life. Many people are forever stuck in high school. But you’ve evolved past that, and you know that you’re never really going to develop any mastery in your life unless you start putting things out there. You know, you’ve got to ship your product. You’ve got to start your business. You have to take that step at that career where you share your ideas more in your meetings with your team, with your bosses because if you’re not getting any feedback, you’re never going to have any power because you’re only going to have your own personal perspective. You will never have the feedback from the real world, and that’s really important. Every time you get feedback, you get better. You can’t be threatened by feedback. You have to take that feedback and acknowledge the aspects of it that are power. Even if that feedback is delivered in a harsh or uncomfortable way, it’s worth finding the value in that feedback. Don’t worry about the way it was delivered. Find the takeaway. Don’t worry about their attitude. Find the lesson. Chess champions actually don’t know if they are any good, and they could never become good until they play other people. So, for those who are concerned about perfection and who don’t want to put things out there that aren’t perfect, I remind you that the real definition of perfectionism is founded on the idea of perfecting something, and you cannot perfect something until you’ve put it out there in the first place. Perfecting something happens after you ship something or release something. #3. Rejection doesn’t happen: Rejection actually doesn’t happen that often. We all think that if we put a new idea out there, all these people are going to make fun of us, tear us down, and send us bad comments. The reality is that not only does the data not prove that, life has already proven that this isn’t the case for you. You’ve probably interacted with hundreds of people who have not made fun of you, bothered you, or diminished your personality. Maybe they didn’t even pay attention or care, but they didn’t reject you in a way that hurt or shaped your identity. However, some people did. You’ve probably had a few people in your life reject you in a way that significantly altered your perspective or changed your future behavior. You can’t guide your life based on a concern that everyone’s going reject you. Big meta-analysis of data online has proven the same thing. For every one star review on something, there’s usually ten to a hundred times the number of people who gave a four or five-star review (depending on the medium). For every restaurant that gets a one star review, the odds are it’s gotten fifteen to thirty times that in three and four and five star reviews. Don’t think that rejection is going to happen. It really doesn’t happen as much as you think, and more people are going to cheer you on than you ever anticipated. Don’t ever let your internal fears become market realities. They’re different things. The market reality is most people either don’t pay attention, don’t care or don’t diminish you. Your internal fear is everybody else’s. Who cares? Your internal fear is usually wrong. In reality, most people are going to cheer you on or at least not pay attention. If they don’t pay attention, that’s not hurtful unless you allow your ego to get involved. #4. Your soul won’t settle: If you keep making up (and believing) stories in your mind, your soul is not going to give up on you. Your soul is going to keep giving you that restlessness and that frustration. 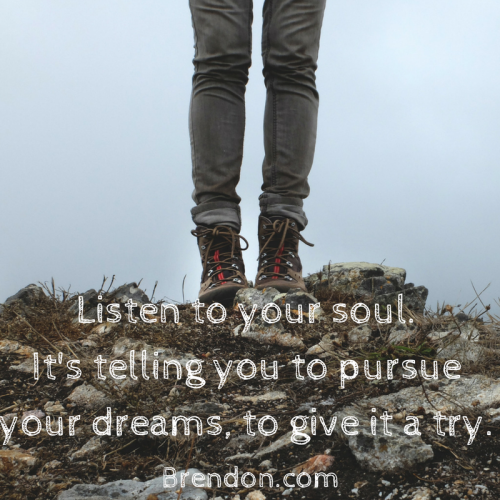 Your soul is not going to give up on that dream. It’s going to keep bugging you, and it’s going to make your life miserable. It’s going to keep shaking you. Have you asked yourself why you aren’t doing your art or your life’s work? Then, you may end up feeling bad for yourself. Instead of feeling bad for yourself, why don’t you listen to yourself? Why don’t you listen to your soul? It’s telling you to do it, put your work out there, go for it man, dream, and try. Your soul is not going to give up. At some point, you’re just going to get so mad at it. Or, you’re going to push it so far down that all of a sudden your life is either a life of complete avoidance and dullness. Alternately, you’re going to realize that restlessness you’re feeling, that dream, that desire, that hunger inside, is not going to go away. So, you’d better learn to listen to it, serve it, and apply it. Even if nothing I said today moved the needle for you, maybe something I said today opened up the gate of a new way of thinking for you, or a new idea, or maybe it gave you some motivation. I’m here to tell you, I have the same insecurities as you did. I still have them. There’s something inside of you that’s telling you to create. Don’t let your insecurity in your mind win. Let that fire and soul move through you. You know what I’m talking about. Listen to that dream again, my friend. You deserve to do that. If you realize these simple truths as well as develop that mastery mindset, then you will start to live more of what we call, The Charged Life.